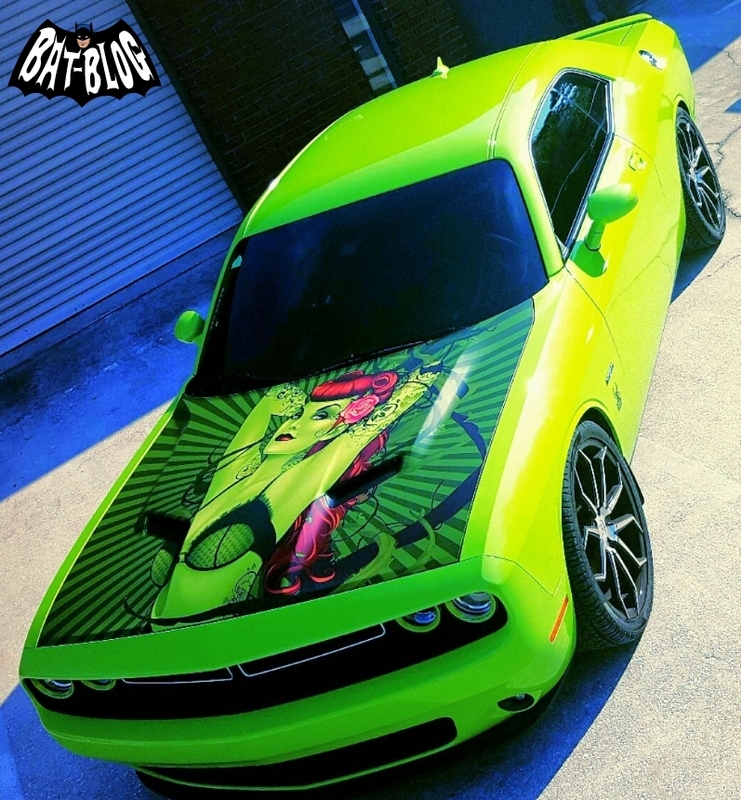 BAT - BLOG : BATMAN TOYS and COLLECTIBLES: New Custom #BATMAN POISON IVY Dodge Challenger!! 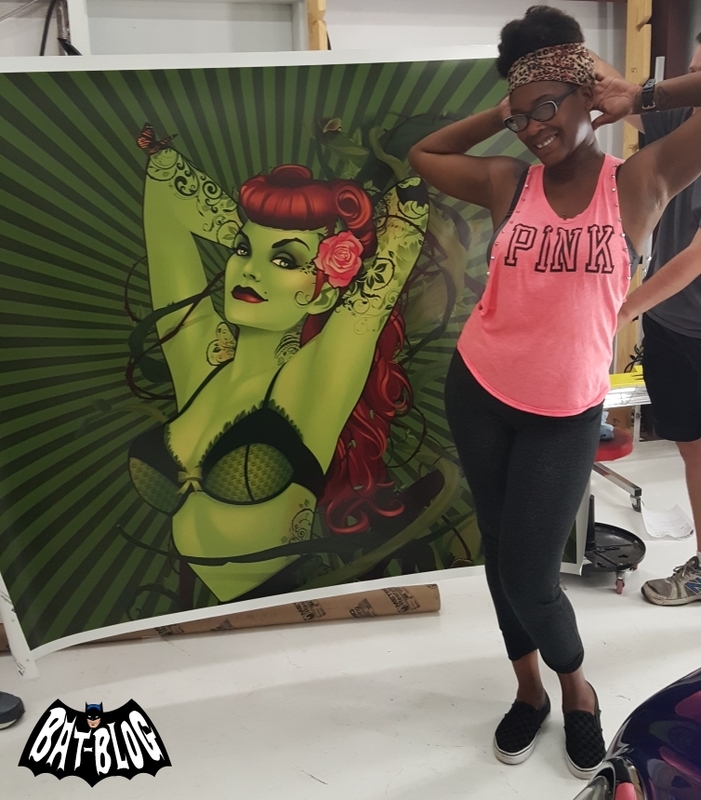 Anyways, she was very sweet and sent along a few photos of a car her friend (or maybe "Boyfriend"? Sorry, I forget) had customized with "Poison Ivy" Batman-themed graphics. 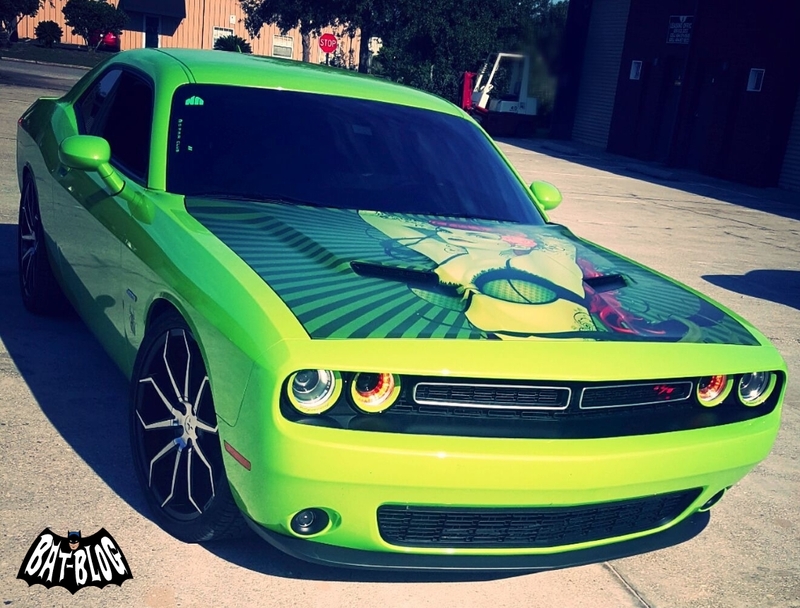 Just check out the pics, this car is insanely beautiful!! 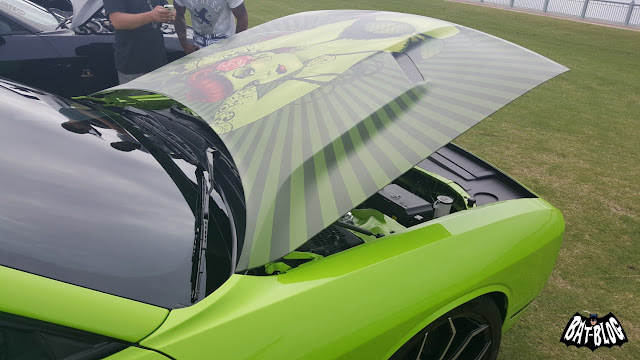 I love the lime green and the hood graphic is sharp and clean.... nice job guys and thank you Syreeta!